Everyone Likes a Bouquet of Flowers. 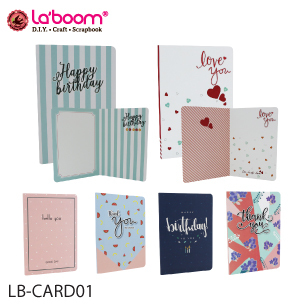 Contain the best wishes to those who are special to you in this selection of la'boom unique flower-bouquet shaped cards. 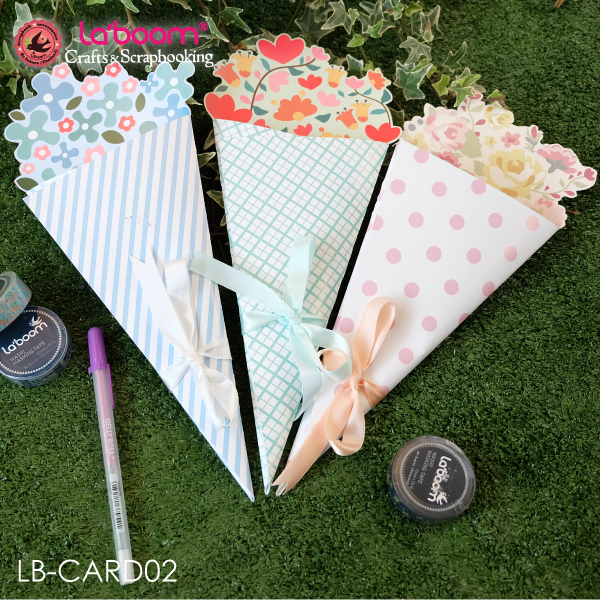 Made from 250 gram matt art paper, perfect for writing down the well wisher's words. 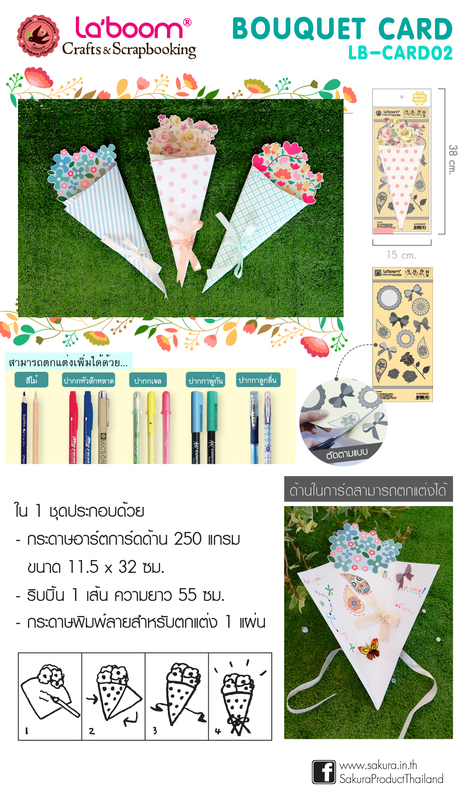 It also invites you to add your personal touch, since, along with the 11.5x32 cm card, the set also features 55 cm. long ribbon and an extra sheet of colorful print paper for extra festive decoration.